Terence Young, wearing a Turnbull & Asser shirt. Terence Young is heralded for establishing the James Bond film style when he directed 1962’s Dr. No. It was he who got star Sean Connery, who grew up in modest circumstances, familiar with Saville Row suits, Turnbull & Asser shirts and how to navigate a wine list. 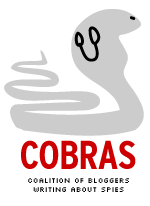 By many accounts (such as the Inside Dr. No documentary directed by John Cork), that’s all true. He was also nobody’s first choice for the job. Sometimes, screen legends are molded by the fourth (or even fifth) option. According to Inside Dr. No, producers Albert R. Broccoli and Harry Saltzman wanted an English director. Three — Guy Hamilton, Guy Green and Ken Hughes — said no. Meanwhile, according to British film historian Adrian Turner, United Artists had an American in mind: Phil Karlson, known for tight, efficiently made movies such as 1955’s The Phenix City Story. He also worked in television, including helming a two-part 1959 presentation of The Westinghouse Desilu Playhouse. The title? The Untouchables, which ended up launching the 1959-1963 television series. Karlson’s agent asked for $75,000 to direct Dr. No and that took the American director out of the running, according to Turner. Meanwhile, Terence Young, who had directed films that Broccoli had made with former partner Irving Allen (The Red Beret/Paratrooper, Zarak and Tank Force) emerged as a candidate and snared the job. He received $40,000, according to Turner’s account in Adrian Turner on Goldfinger. As it turned out, the $40,000 man and the subject matter were made for each other. In addition to his appreciation for the finer things in life, Young had been a tank commander in World War II. Thus, he had experienced danger for real. By the time Dr. No went into production, Young had 17 films as a director under his belt. He knew Ian Fleming’s Bond and worked to bring that to the screen. Young would direct three of the first four films in the Broccoli-Saltzman 007 series, departing after 1965’s Thunderball. His record would include the 1967 thriller Wait Until Dark. But many of his other later films aren’t terribly well remembered (The Klansman and Inchon, among them). 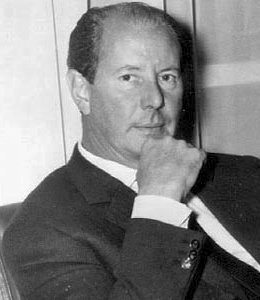 Terence Young was a director for hire. His price for Dr. No was $40,000. It ended up being among the best-spent money in the history of the film series that celebrates its golden anniversary this year. Meanwhile, CLICK HERE to view an obituary of Terence Young that originally ran in the fan newsletter For Your Eyes Only.